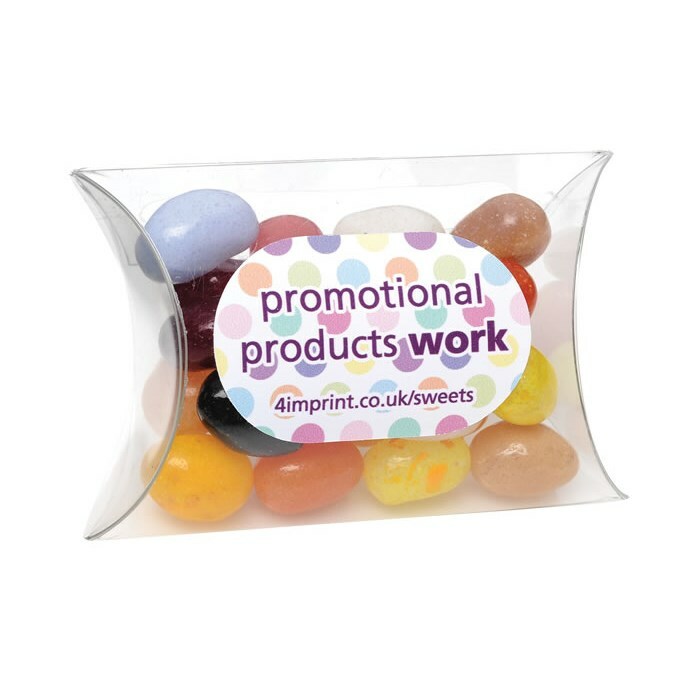 These branded sweet pouches are ideal for distribution at a trade show, seminar or event. Cost-effective giveaway that’ll make any campaign all the sweeter. Each pouch contains 27g of mixed gourmet jelly beans from The Jelly Bean Factory. All flavours of Gourmet Jelly Beans are made from only natural colours and natural flavours and what's more they are GMO, gelatine, gluten & nut free, they're Halal compliant and suitable for vegetarians - so everyone can enjoy them! For orders of 250 pouches or less we also offer an express service on this item. Price includes your logo printed in full colour on a paper sticker. Weight: 30g with pouch (including sweets).